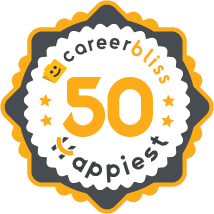 QA Engineers at Apple give their company a 3.9 out of 5.0, while the average rating for Apple is 4.0, making them 3% less happy than every other employee at Apple and just as happy as every other QA Engineer on CareerBliss - the happiest QA Engineers work for Blue Cross Blue Shield. "Temping at Apple was great. Volt was easy to work for, but pay was on the lower end." "A good source of diverse job opportunities for technical staff."